Yes. I have been singing a little Miss Beyonce as of late. "Everything you own in a box to the left....don't you ever get to thinking, you're irreplaceable." 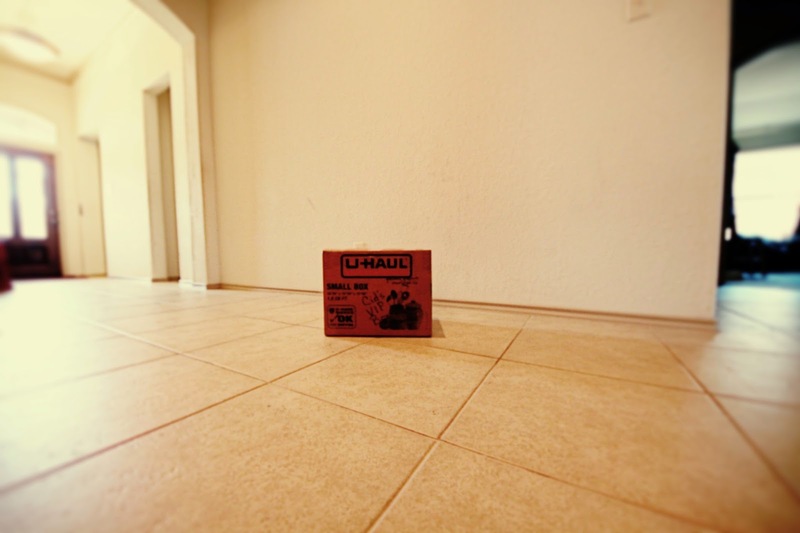 I am just beginning the task of boxing everything up in order to empty the house to get it ready to go on the market. We are pretty fortunate that there is not a whole lot of work to do to make the house ready (because another major refit project would kill me! ), just a little paint here and there, a bit of spit and polish and removing all bits of my whack a doodle decorating personality to make it Neutral (with a capital N).The walls are starting to look very bare though and as I pack, my brain starts working over time because that's what you do when you are engaged in a routine task. I won't miss the house. I realized that I have lived in this house longer than I have ever lived in any house- 8.5 years. Growing up, we moved often for my dad's job and staying somewhere more than 3 years was worthy of note. A tendency towards Gypsy wandering was ingrained in me early I suppose. We've certainly had some wonderful times here, but we could have just as easily had them anywhere else so there is no longing for place as I start to pack things away. I'm sorting through accumulated possessions- to donate, to sell, to pack away and as I pack I came to the realization that really, its just stuff for the most part. As I sealed up a box, I realized that if everything else were to go, this one small box contains all of the material possessions that I can not bear to part with. The monetary value of the contents of this box is probably somewhere around $5. Photographs, press clippings from back in the day, a baby blanket crocheted for my girls by my aunt, a throw made by my great grandmother, recordings from my days as a musician, the greatest writing assignment Maura ever did ( at age 8) and a couple of small lacquer boxes given to me by my best friend. It was a very strange feeling to realize that this one small box contains everything I would want to hold on to. Stranger still to realize that with half of my life over, this small box contains the essence of me, but even if I were to lose this I would be okay. Its the memories I hold that can never be replaced and also, can never be taken away. Isn't accumulation of stuff the American way? Perhaps I should take a look at my passport again, just to be sure. I think what this means on a deeper level is that I am ready. Ready for the next chapter of our life and ready to create something of real value, memories. So I continue to pack things away. I plan on having it all boxed up save for what we need day to day by the beginning of April. Then it will be time to paint, plant and pretty up the house and put the house on the market. I thought it would be harder to leave it all but truthfully, its not as hard as I was worried it might be. Stuff can be replaced, memories and the people we make them with are what's really important. Yep, I think I am really, really ready. 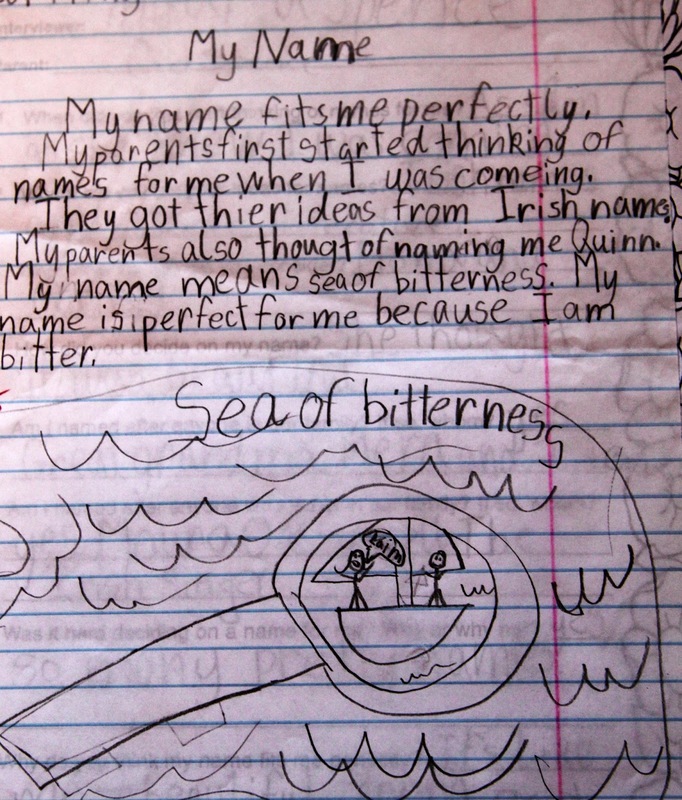 The writing assignment Maura did at age 8 that I absolutely treasure. It still makes me giggle every time I read it. Its carefully packed into the VIP box because its just too good to get rid of.